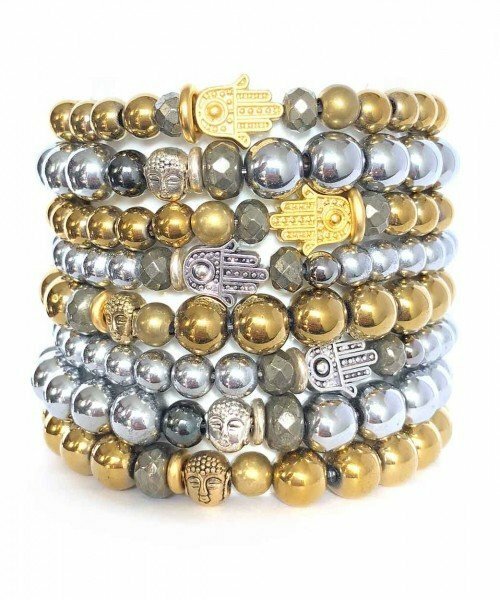 This is an Arm Party must have! 8mm White Howlite gemstone stretch bracelet with brass and gold pyrite accents. Topped of with an adorable white tassel.